Agency submissions, as per usual, should be “informed” by their submissions for the fall 2017 regulatory plan and unified agenda, due on Sept. 18. Each agency should include an explanation of how it arrived at its cost allowance consistent with its regulatory policies, Rao added. 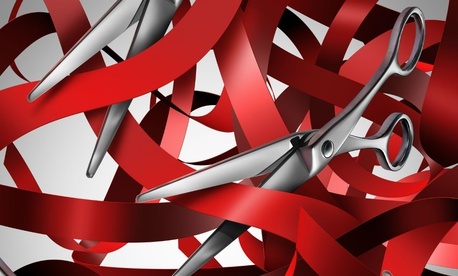 The unusual request for targets for cuts in regulatory costs was welcomed by Jitinder Kohli, the managing director at Deloitte Consulting LLP who previously ran regulatory reform for the United Kingdom. “This shows the administration's commitment to driving an ambitious regulatory reform agenda," he told Government Executive. Everything about this regulatory budget is unusual,” Goodwin said. He called Trump’s executive orders on deregulation more like “a bumper sticker or a stump speech” than something that can be translated into regulatory policy that can be implemented. Sally Katzen, a former deputy director for management at OMB who headed OIRA during the Clinton administration said, “The memo and the process are without precedent.” When Trump released his first executive order on deregulation just after his inauguration, she said, “most people focused on its requirement for a two-for-one” ratio, ending two rules for each new one added. “But also contained in that order was a call for a regulatory budget to begin approximately now,” Katzen said.